The Purple Man is coming back from the dead. You'd be forgiven for thinking we'd seen the last of David Tennant in Jessica Jones, given the first season of the show ended with his neck being snapped. Death can't keep a good villain down though, and EW are reporting that Tennant is indeed returning for Season 2, which is currently filming and set for a 2018 release (most likely the typical March slot reserved for Marvel Netflix series). 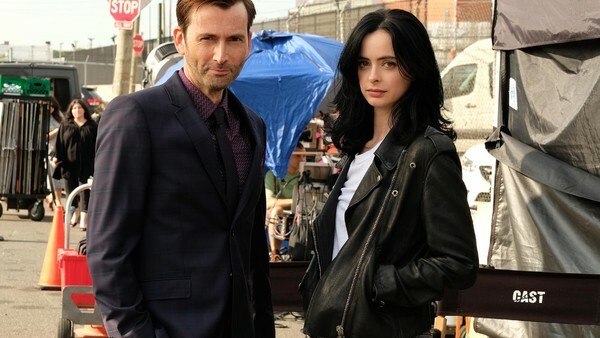 The first photo of him on set has been released (see above), showing him alongside Krysten Ritter. No further details about his return have been revealed yet, so it's currently unclear just how Tennant's Kilgrave is coming back. But given he was such an indelible part of the brilliant first run, it's no bad thing, depending on how it's handled anyway. The most likely option is that he returns via flashbacks, since the show will presumably continue to explore Jessica's past, or perhaps even some sort of hallucination haunting Jessica, rather than an actual return from the dead. 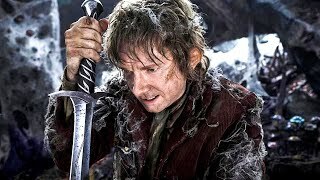 There is the off-chance that will happen, and they could feasibly write it that he was resurrected or used his powers to convince everyone he was dead, but it would rob the first season of its immensely satisfying climax. Ritter will next be seen in The Defenders this Friday, which may drop some hints as to her state-of-mind and how Kilgrave could come back. Read our spoiler-free to that series here. Are you excited to see Tennant return? How would you bring him back? Let us know down in the comments.